PRODUCT DESCRIPTION: Super absorbent material which absorbs all odors present in any area. If you are unable to deliver Dispose or other enzyme working material we have listed in our article, try this product. 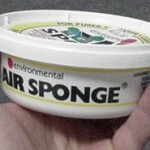 It will readily absorb the most prevalent odor in any room as long as the odor persists. WHERE TO USE IT: In rooms where unpleasant odor is present. This may be closets, bathrooms, bedrooms, attics, basements, great rooms, kitchens, around kitty litter, furniture, crawl spaces or any other area where unwanted or unpleasant odors persist. 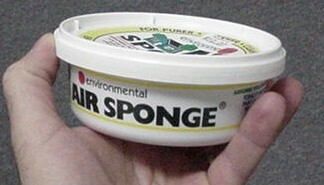 RATE OF APPLICATION: One air sponge will cover a 10 foot by 15 foot room. It should last between a 2 weeks and a month – depending on just how strong the odor is and how long it persists.